Two things to talk about in my blog today. I’ll be at MegaCon…but please allow me to tell you about the Tiny Kickstarter first! Today is the launch of a Kickstarter for a comic project titled Tiny. I talked about it last week here (click here) and told you how I met Deonna and how the project actually came about. This week I’ll tell you a little about the story itself and will ask you to go pledge to the Kickstarter where you can snag copies for yourself. The basic levels give you the comic—of course. But, for those of you who are art fans, you can get a quick sketch done in your comic by Deonna and you can even get her to do a more finished piece of work. For you serious comic art fans, we’ve had a few super-talented artists kick in a piece of art to help us reach our goal. You’ll find beautiful drawings of Tiny by Jenni Gregory, Jim Hall, and Dean Zachary. And you can own them—but there is only one of them (one from each artist, I mean), so you’d better act fast! ALSO, MegaCon starts TODAY and runs through Sunday. This will be my fifth MegaCon, my fourth in a row. 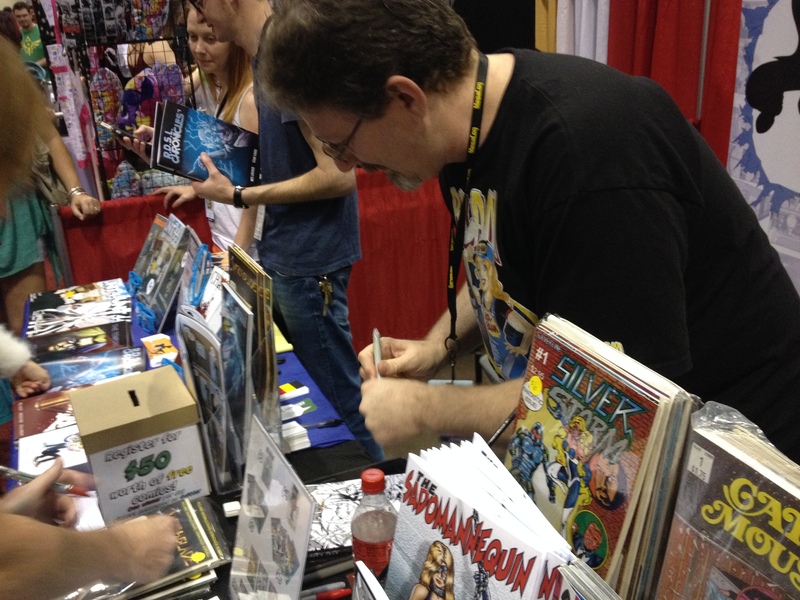 I first attended MegaCon in 1998 when I went to Orlando and visited my pal Tony Fortenberry. He was my tour guide the entire time. Then, when I moved to Orlando, I got hooked up with them again and have been every year since. You can find me in artist alley at A263. Deonna will be there with me and we’ll have copies of Tiny #1 you can pick up from us and get us both to sign it! Also there will be my pals Barry Gregory who does John Aman, The Amazing Man; Jenni Gregory, who does Dreamwalker; Jeff Whiting, who does Extraterrestrial (I’ve got a story in there, too! ); and a whole host of others. 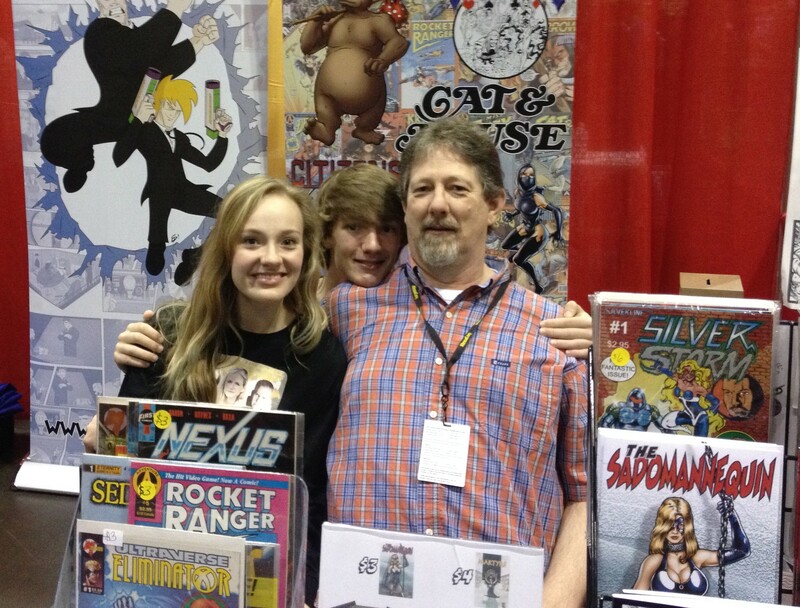 Come out and see us and get some cool comics! And oh! Autographs are always free! Okay, I know this is about 14 days behind…but hopefully we’re all looking forward to a great year. I know I am, even if this post isn’t out the first week of January. March 20th: Daytona Beach Comic Convention. This one day show is close to the beach, to the Daytona race track, and is on the campus at Embry Riddle. If you like comics, THIS is the show to attend. The last two shows I did here had more comic dealers than any of the “biggers” shows I attended all last year! I’ll be there, so come see me! April 30-May 1: Lebanon MEGA Con. In Lebanon, Missouri, this is not only the debut of a new annual convention, but it’ll be my first ever appearance in the Show Me state! There’s also a bunch of wrestling guests slated to show up as well as comic artist Val Mayerik! So, for all my Missouri peeps, come out and see me! Lots of fun to be had. May 26-29: MegaCon in Orlando, FL. This will be my sixth MegaCon, probably the show I’ve done more than any other single show except CoastCon in Biloxi, MS. 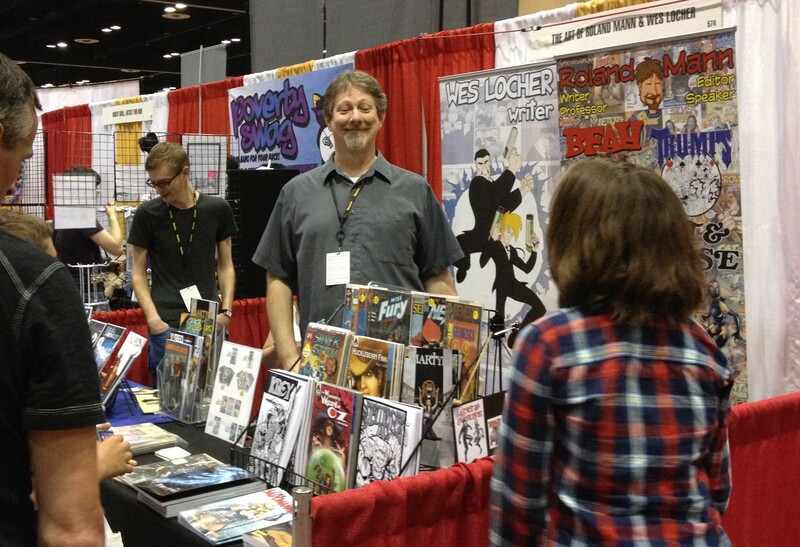 The first time I did MegaCon was in 1998, then not again until 2012…and every year since. I notice their guest list isn’t updated, but I’ll be back in Artist Alley this year, hopefully beside my pals Barry and Jenny Gregory (maybe Thomas Florimonte?) and Wes Locher. It’s a four day show this year, so make your plans now! Aug 5-7: WizardWorld Orlando. Yep. You read that right. WizardWorld is coming to Orlando this year…and I’m excited. You already know that I’ve done several Wizard shows and my thoughts on this extremely professionally run show! This is a great thing for Orlando. I expect this guest list to continue to grow—I mean, who doesn’t want to come to Orlando, right? Nov 20: Clermont (FL) Comic Con. Not sure how long this one has been going, but I heard great things about the ’15 version of it, and so I’m very happy to have been added to the guest list for the ’16 show. All of you central Florida folks who want to avoid the mega shows should check out this one! I’ll see you there! Creatively, there are a couple of projects that are moving forward that I’m pretty excited about. The first—and we’re planning for it to be available by MegaCon in May, is TINY, a re-telling of the Thumbelina fairy tale by me and newcomer artist Deonna Herrold. Check out some of her fantastic work here. Also, here’s a sneak peek at one of her pages. I’ll be posting more as we get closer. I gotta say this: it’s looking GREAT! A second project that’s going to happen is one with my pal and artist extraordinaire, Dean Zachary. I’m sure most of you comic folks know who Dean is already—which is why I’m so excited to be working with him. No art for this one—that I can show you—just yet. But you’ll have to trust me on this one…WOW!